This is the next post in my series on how search & seizure issues impact criminal cases in Phoenix, Arizona. My last article discussed whether one has to consent to speaking with law enforcement. 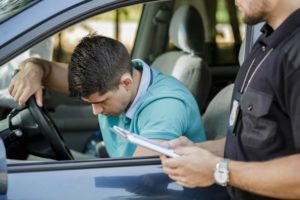 In this post I will be looking at the subject of whether one’s rights may have been violated when law enforcement stopped and searched their vehicle. Such stops frequently result in gun charges or drug-related allegations. If you have been arrested after a vehicle stop then you should consult with an attorney immediately. Arizona police can stop a driver if they have reasonable suspicion of illegal activity. This activity can be relatively minor, such as a traffic infraction. Once your vehicle is stopped then law enforcement can investigate further if they gain reasonable suspicion of additional crimes. Say, for example, an officer pulls someone over for speeding. Upon approach the vehicle the officer then smells marijuana. The officer will then have probable cause that marijuana is in the vehicle and he or she may take additional steps to investigate. These steps can include having you step out of your vehicle and the officer searching your car. It is important to note, however, that law enforcement officials cannot search your vehicle simply because they want to; they must have probable cause of an actual offense and cannot investigate beyond the particular offense for which they have probable cause. There are many instances in which officers violate the Fourth Amendment while searching a vehicle. There may be a dispute over whether reasonable suspicion to stop the vehicle actually existed. Also, there may be a dispute over whether facts observed, after the stop, constitute sufficient grounds for a vehicle search. If a driver’s rights are violated, and incriminating evidence is found, then the admission of such evidence can be challenged by filing a Motion to Suppress. Hiring a criminal defense lawyer who is versed in this area of law can be crucial to your defense. Many Phoenix residents make the mistake of thinking they do not have rights or a remedy after police find incriminating evidence in their car. Such is not the case though. If law enforcement violates one’s rights when stopping their vehicle, and finds incriminating evidence, then the fact that evidence was found will not legitimize the stop. In other words, evidence found as the result of an illegal vehicle stop is tainted and can be excluded from court proceedings. If you have found yourself in such a situation then you should contact a lawyer. In addition to Phoenix, I also service other Maricopa County cities such as Mesa, Glendale, Scottsdale, Chandler, and Gilbert and I assist Pima County residents in Tucson. Call today to speak with an attorney.